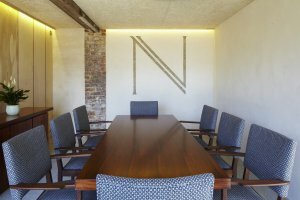 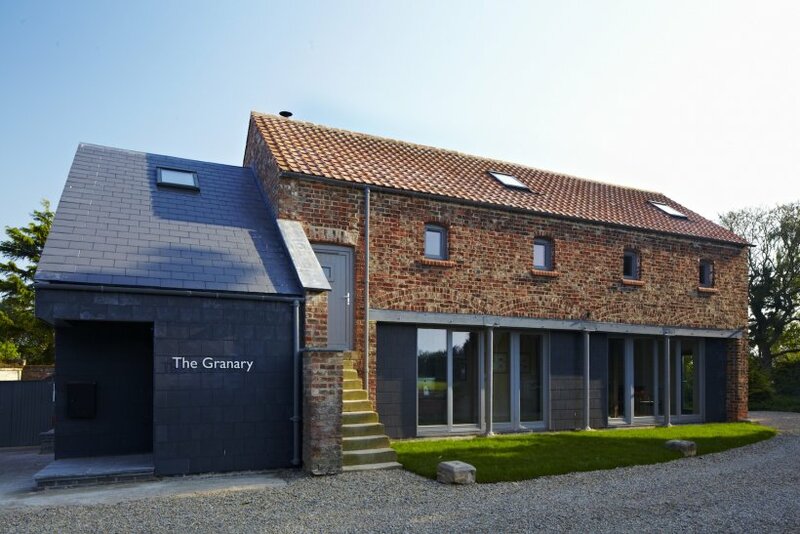 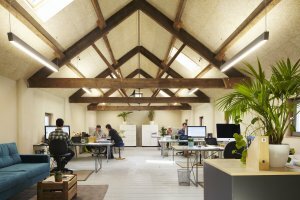 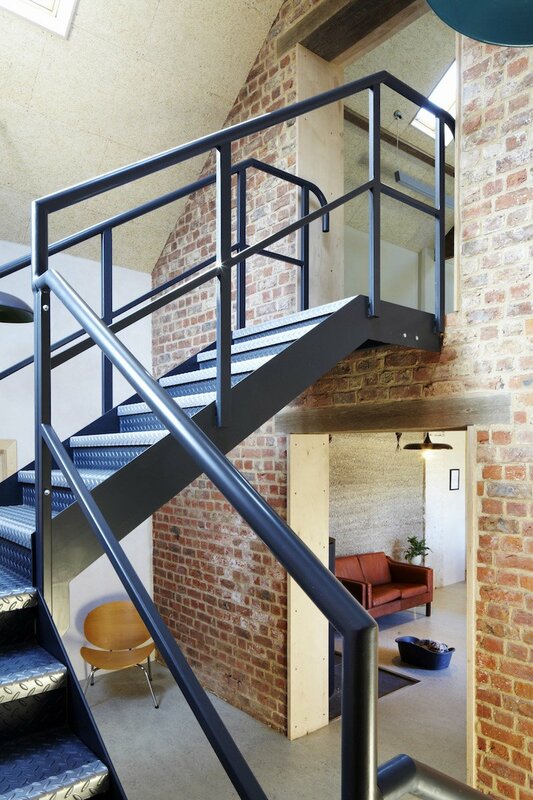 A 19th century traditionally constructed clamp brick building,The Granary is the new location for Native Architects’ office and sits within a working farm. 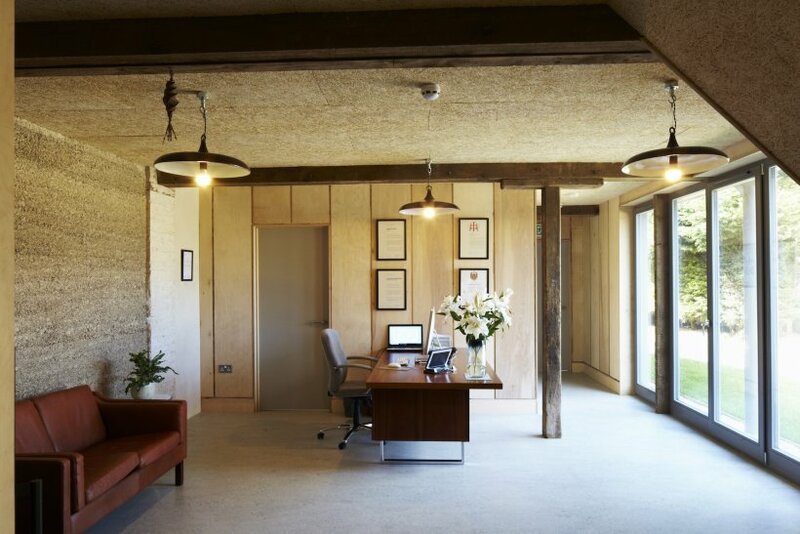 The building comprises the main two storey granary with open plan floor layouts which have been maintained with outside access to the first floor via a flight of traditional stone steps.To the rear is a single storey brick outbuilding that has been refurbished to form the kitchen and WCs for the office. 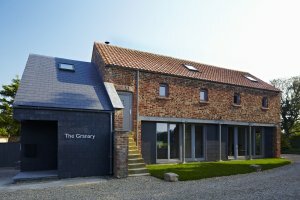 A new two storey element has been designed to link this to the main granary building. 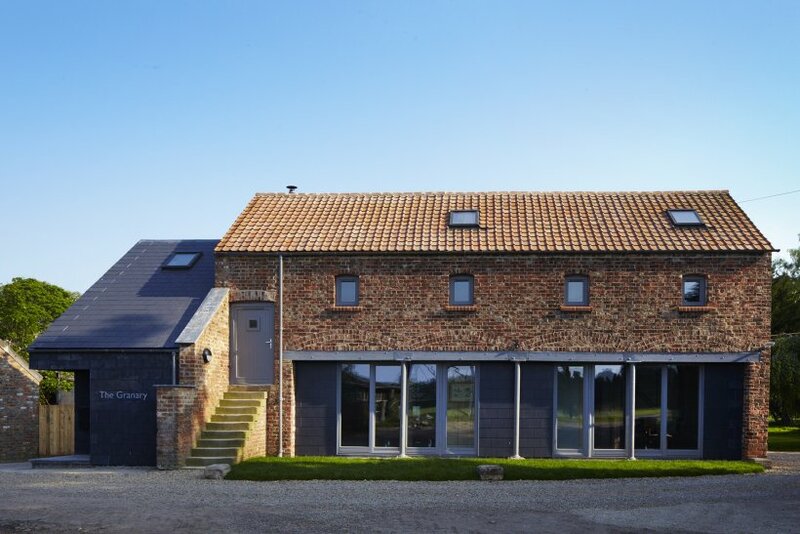 The design is traditional in form and scale but is differentiated from the existing building by a change in materials.The extension is subservient to the main building with contrasting slate hanging as a finish to both roof and walls. The building demonstrates our practice ethos of context specific environmentally sensitive design. 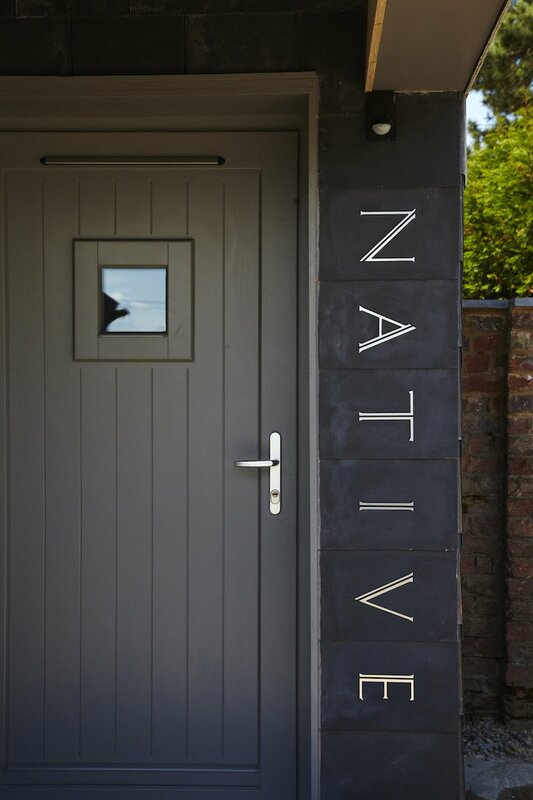 The building work was carried out as a self build project utilising our practice resources; the Native team completed all the work with the exception of the electrical installation, telecoms, finishes and some fittings. 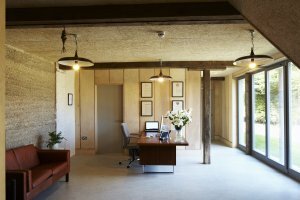 The philosophical approach to the conversion was that of a conservation project for a traditional non-heritage asset. No new bricks were required for example, building elements were only replaced if beyond repair. Truth to materials, use of traditional, low carbon and natural materials throughout with a high level of recycling was central to our fabric first approach and our commitment to sustainability. 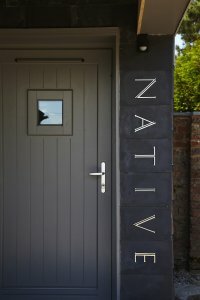 We used a palette of low embodied energy materials which included Yorkshire grown construction grade hemp cast against the solid brick walls; hempcrete blocks; wood fibre floor, wall and roof insulation; reclaimed plywood for wall finishes and joinery; recycled roof timbers; and hotlime for repointing and internal finishes.